This is a great design that will fit most any home. It can easily be altered to be longer, wider or taller depending on the space it will be in. The lumber and color choice is just as easily substituted with the wood of your choice and the color that best suits your taste. This is an intermediate level project that will require a variety of tools. The best way to see if it's a project that you can take on is to watch the video of it being made. The project calls for the maker to cut, rip, plane, glue up, sand and paint/finish lumber. 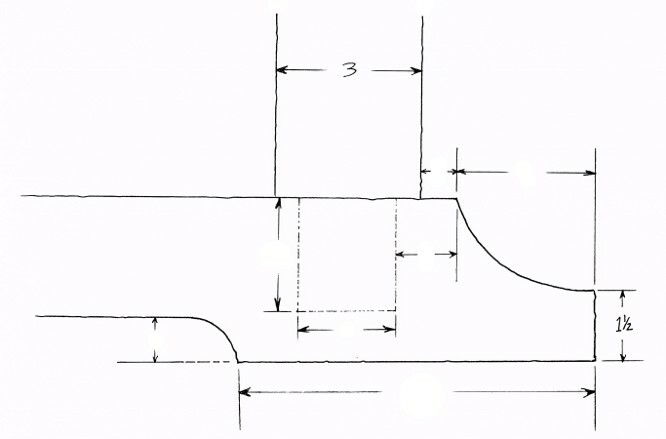 The most advanced technique in this project is cutting mortise and tenon joints. I talk about various options depending on what tools are available. 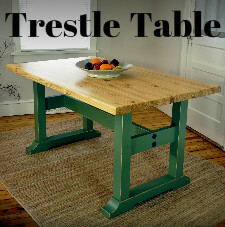 Another great aspect of this table is that it can be made with common materials available at stores like Lowes and Home Depot. All 12 pages of the plans are filled with hand drawn diagrams and sketches. All of the views and dimensions are present to build the table exactly as it is shown in the photos and video. If you find your self with any questions, just email me at thehomesteadcraftsman@gmail.com. Are you a woodworker with a small business like me, working out of your garage, basement or small shop? 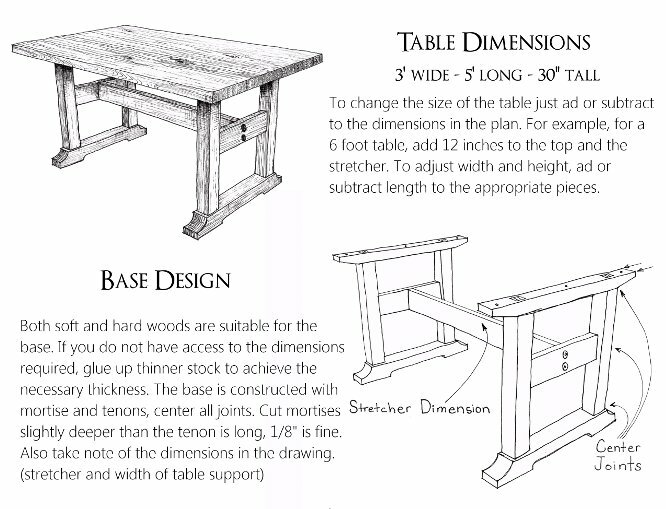 Feel free to use these plans to make and sell this table. By clicking “Buy Now” you except that woodworking is dangerous and that no one but you is responsible for any injury that results from using these plans. Use safety equipment and properly use tools. The payment is processed through PayPal. You can use a PayPal account or pay by card. Thank you for your interest. Its design is great . How do I buy? I'm in Brazil. Thank you. Bought it! looking forward to making my wife a new dining room table with some great benches. Thanks James, I'd love to see how it comes out! In the process of building a 7' version for my wife. In the final stages now. Plans are easy to follow and thorough. I only wish you had plans for your clamping station! I work in a 600 sq ft shop and could use one of them in the worst way!! Keep up the great work!